RYDA offer a range of workshops during school holidays for young performers. Here you can find out about workshops coming up and book your place. 10am to 5pm Friday – Rehearsal and performance at Queen Elizabeth Theatre, Oakham School. In our 5 day workshop we will produce a full West End show – to be unveiled on the day. Past productions include Lion King, Disney’s Little Mermaid, RSC’s Matilda, Little Shop or Horrors, Hairspray and Guys and Dolls. Our cast will work with a director, choreographer, and musical director to put together our production and perform at the end of the week for family and friends in a state of the art theatre. 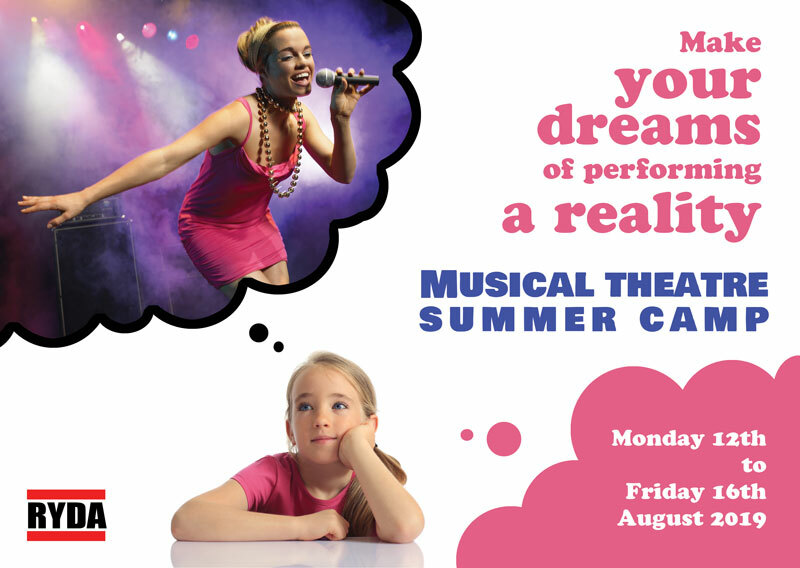 A great way to develop performance skills, improve confidence and meet other young performers. book your fun filled workshop NOW! We require information about any medical conditions or allergies the dancer named above may have to inform staff and ensure the safety of our students. Please leave blank if this does not apply. By checking this box you agree to the dancer named above being involved in documenting the workshop by photo or video. This material may be used in future marketing. By checking this box you agree to RYDA holding your information for reference only. This information will not be passed to any third party. I confirm that the information provided above is correct. I will inform RYDA as soon as possible if any of these details change.